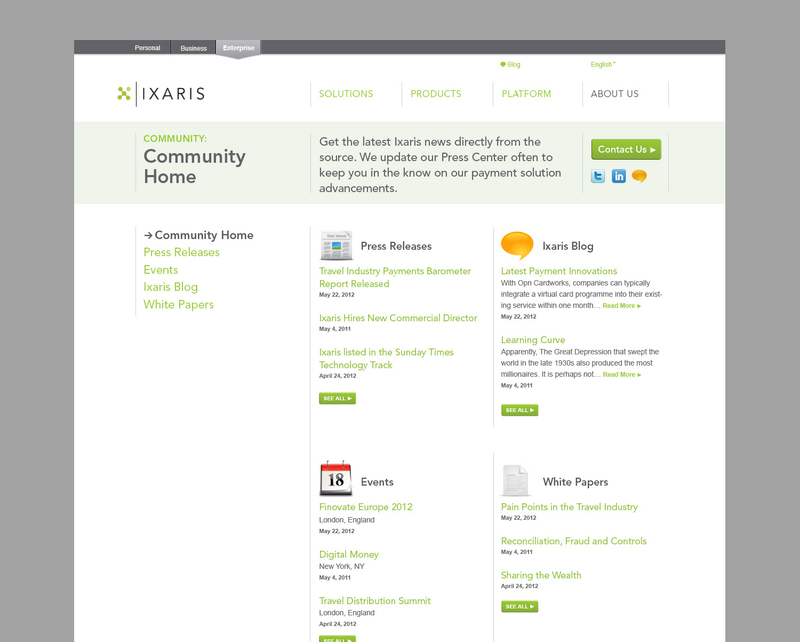 Ixaris is the parent company for EntroPay. 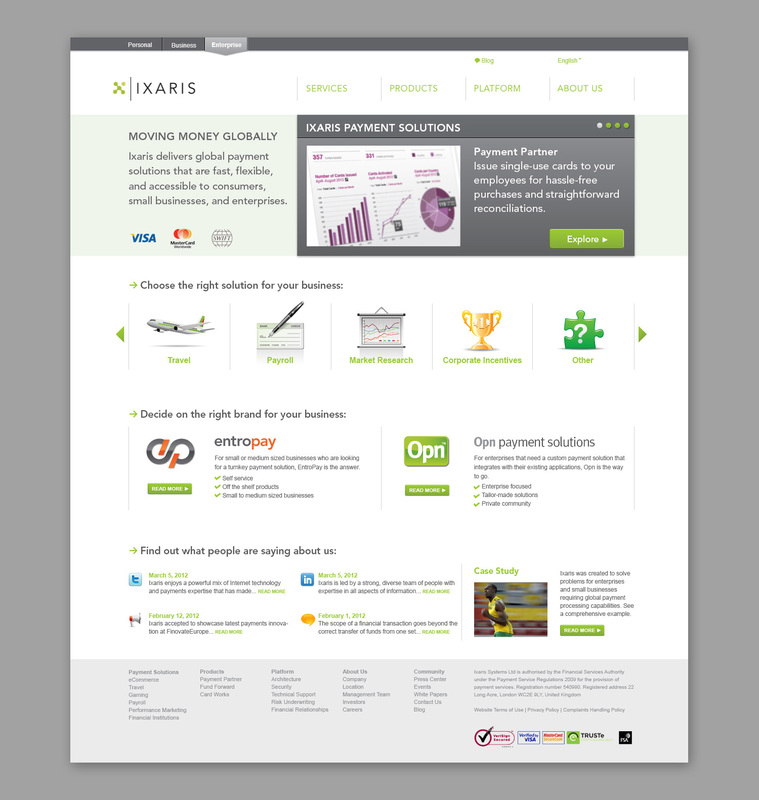 They are an online financial services company based in Europe. 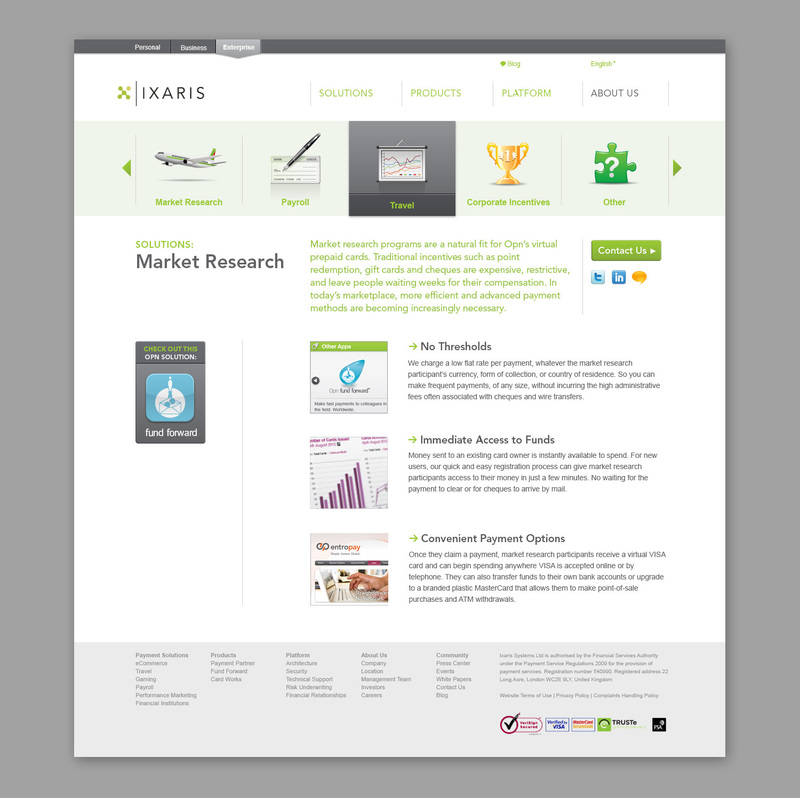 The site is the first part of a complete online rebranding, which will organize their sites into Personal, Business, and Enterprise portals. 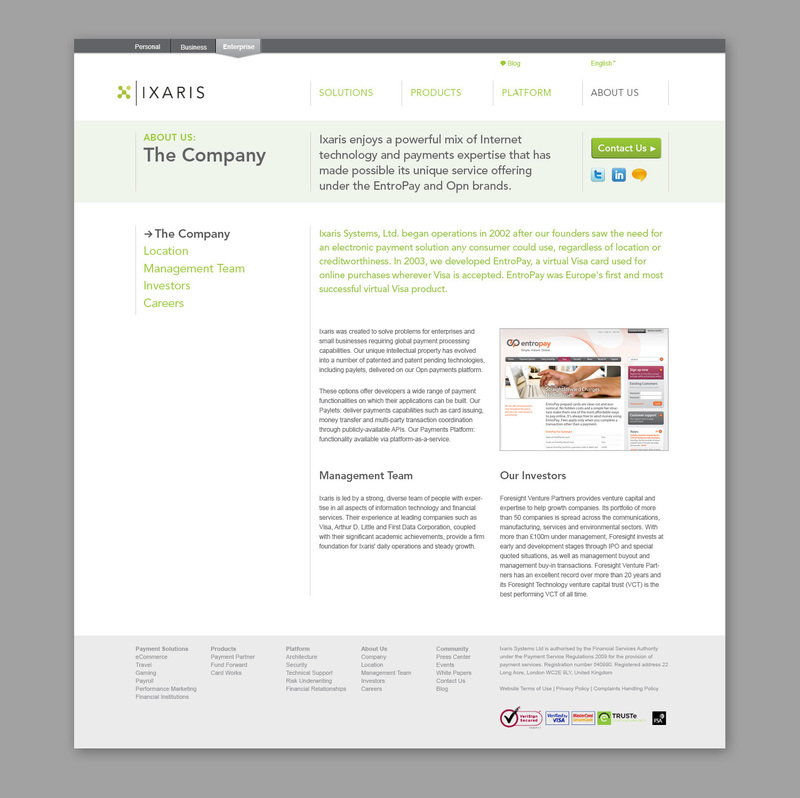 This corporate site presents the company’s over-arching mission, the products they offer, and introduces their sub-brands, services, and applications.